Our seven-year old is acting up lately. The past week has been a struggle especially for me as there were so many issues that I have to deal with. It is some sort of tantrums, or as my wife puts it, ‘a sign that it is seeking attention.’ Whatever the reasons are, it is becoming obvious that this one has seen better days. 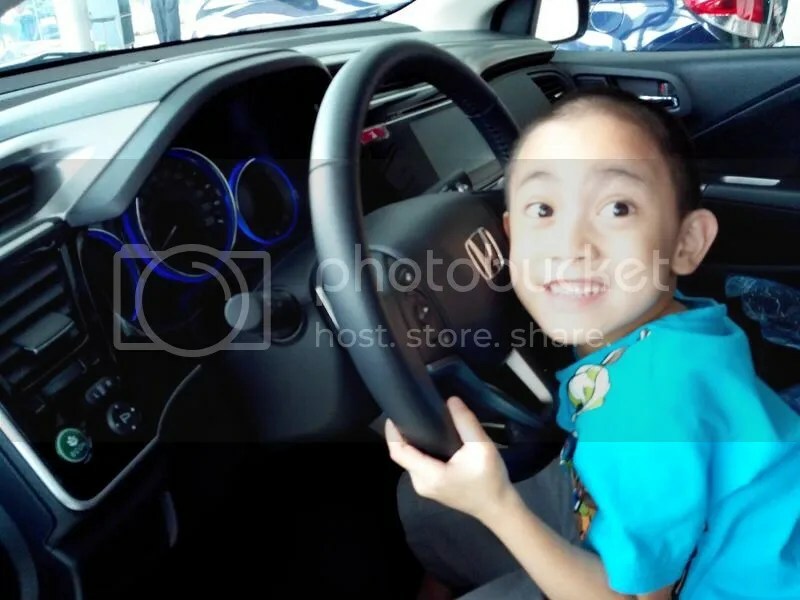 Nope, it’s not our son but our Honda City. But, just like that overused TV shopping line, wait there’s more. That night, I had to deal with several rude drivers on my way to work. Oncoming vehicles flashed their headlights; some even had the nerve to honk as I get near them. Just rude, inconsiderate at the very least, right? Well, it was midway of my trip when I realized I was at fault—I was running with one headlight on the passenger side only. It would have been cool if I were in the music video of that Wallflowers’ song but in real life it’s really not. Anyway, I made it through the dark stretch that I regularly take and I even had the time to drop by True Value Solenad to grab a replacement which I was able to install the next day. Another problem solved, comes the next. When it rains, it pours—in my car’s case, it leaks. The recent rainy days have exposed a leak on the driver side. I thought at first that it is coming from under, that there could be a hole, that whenever I pass by this flooded part of my trip water comes in. The good news, I discovered, is that there isn’t one right below but the bad news is that it is coming from a breach either in the gasket where the wires and hood cable from the engine side go through or from an unknown location. So yesterday I had all my tools out—hydraulic jack, jack stand, hand tools, and a caulk. The front of the house was a repair shop for hours while I am trying to beat the hot rising sun. All the caulking I made under the left fender weren’t successful though. It rained hard in the afternoon—hours after we arrived from buying Marcus’ CoQ10 and Alpha Lipoic Acid at Healthy Options ATC—and this morning I discovered the leak is still there. But I now think that I have found the culprit which is a small gap where the windshield and wiper panel meet. Another caulking session took place while I was all sweaty right out of my workout session from the nearby gym. Fingers now crossed. I would say that if there were cars during Jean Valjean’s time then ours could be his. I know it’s an exaggeration but such inconveniences had me relate more to Les Miserables which is a story I read while killing time at the parking lot—while in my car, our seven-year old car. Either I win the lotto or join a networking group to make his last year’s wish a reality. There are other options but would be against the law. Wifey bought a DVD of Les Miserables which we watched yesterday while rain poured hard outside, while I was wondering if I was able to fix the leak of the car.